See Nehemiah 12 for the account of such a call to celebrate when the newly-built walls of Jerusalem were dedicated. Hear a similar call to celebrate in Psalms 95, 96, and 98. And hear how John’s visions also includes such a call to celebrate in Revelation 5:6-14 and 7:9-17. 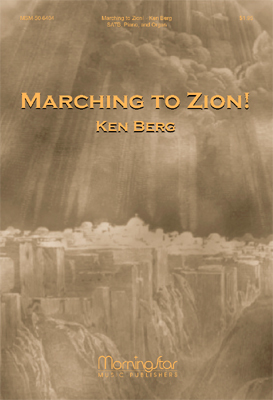 Somewhat like the psalms of ascent in the Old Testament (Psalms 120-134), this text is a pilgrimage song about the Christian journey from this earth to a new heaven and earth. 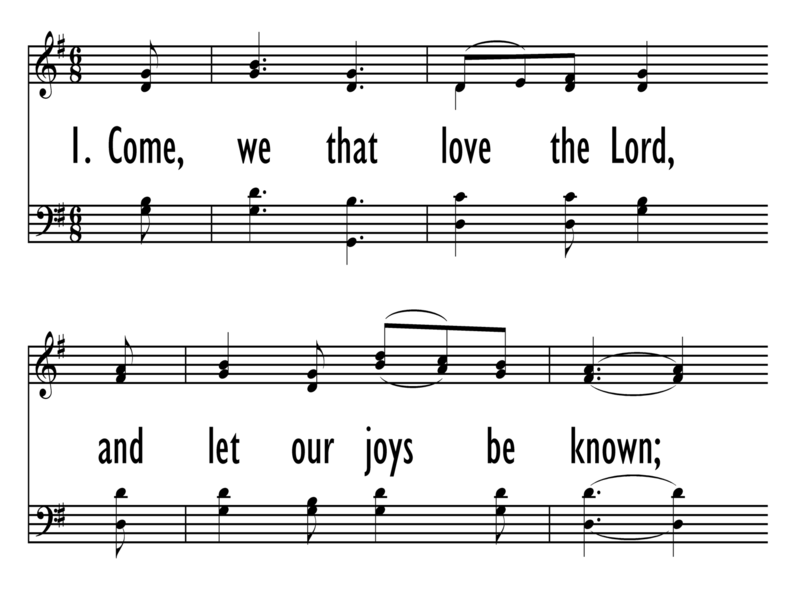 Robert Lowry’s tune has been hailed as a “lively quickstep for happy Christians.” Lowry intended adults to sing the stanzas, with children joining on the refrain. Isaac Watts (b. Southampton, England, July 17, 1674; d. Bunfill Fields, England, November 25, 1748) was a precocious student and voracious reader. As a youth he studied Latin, Greek, French, and Hebrew. He declined an offer to study at Oxford and chose instead to attend an independent academy in Stoke Newington (1690-1694). From 1696 to 1701 Watts was tutor for the family of Sir John Hartopp, and in 1702 he became the pastor of Mark Lane Independent Chapel in London. However, ill health, which he had suffered for some years, took a serious turn in 1712. After that time he served the Mark Lane Chapel only on a part-time basis and moved in to the estate of Sir Thomas Abney to became the family chaplain, a position he held for the rest of his life. During the following thirty-six years Watts was a prolific author–writing books about theology, philosophy (including an influential textbook, Logic), and education, as well as con­ducting a voluminous correspondence. 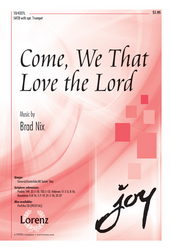 Today, Watts is best remembered for his psalm paraphrases and hymns. Many of his contemporaries were exclusive psalm singers. After complaining about the poor quality of many of the psalm paraphrases, the teenager Watts was challenged by his father, "Give us something better!" So he began to write new psalm versifications in which he deliberately chose not to follow closely the King James text but instead to interpret the Old Testament psalms through contemporary British Christian and New Testament eyes. The next step was to write hymns rather than Scripture paraphrases. What he called "hymns of human composure" established him as the creator of the modern English hymn; he is known as the "father of English hymnody." Altogether, Watts wrote more than six hundred psalm and hymn texts, which were published in his Horae Lyricae (1706), Hymns and Spiritual Songs (1707), Divine Songs . . . for the Use of Children (1715), The Psalms of David Imitated in the Language of the New Testament (1719), and Sermons and Hymns (1721-1727). Most of Watts' texts use the traditional British ballad meters (Short Meter, Common Meter, and Long Meter) and state their theme in often memorable first lines. His work became immensely popular in the English-speaking world, including the United States, where, following the American Revolution, Watts' texts were edited by Timothy Dwight in 1801 to remove their British connotations. Several of his versifications and hymns are still found in most hymnals; especially loved are the paraphrase of Psalm 90, "O God, Our Help in Ages Past," and the hymn "When I Survey the Wondrous Cross." Robert S. Lowry (b. Philadelphia, PA, 1826; d. Plainfield, NJ, 1899) valued his preaching ministry much more than his writing of hymns, but he attained a lasting name in the gospel music tradition. Educated at Bucknell University, he returned there to become a professor of rhetoric from 1869-1875. He was also a pastor at Baptist churches in Pennsylvania, New York, and New Jersey. Known nationally as the editor of numerous Sunday school song collections for publishers Biglow and Maine in New York, Lowry also collaborated with William H. Doane to produce gospel hymnals and Sunday school songbooks such as Bright Jewels (1869), Hymn Service (1871-1873), Welcome Tidings (1877), Gospel Hymn and Tune Book (1879), and Glad Refrain (1886).